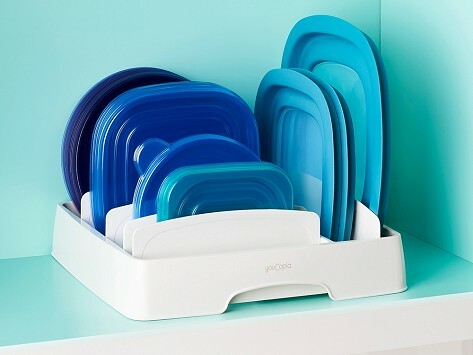 Conquer cluttered cabinets and drawers with a container lid organizer. It’s adjustable to best fit in your space and to corral all those loose lids—both round and square ones up to nine inches. Configure the dividers to tidy things up just the way you like it. Dimensions: 10.4" x 11.2" x 3.3"
Great organizer, easy to find correct size. Works just as described. Keeps my lids neater than ever before. Love it.